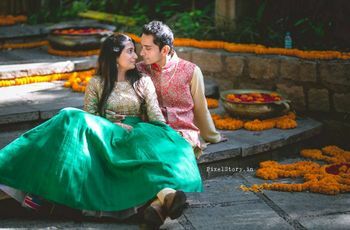 6 Fantastic Floral Rangoli Designs to Adorn Your Wedding Decor for Beautiful Pictures | Wedding Tips ARE YOU A VENDOR? Indian weddings and festivals have been glorified with Rangoli art made with natural colours, flowers and petals since forever. So why don’t you take a look at some stunning floral Rangoli designs and draw inspiration for your own wedding? Sometimes the beauty of a design lies in its simplicity. You can go for small modest floral Rangoli patterns for pre-wedding occasions like Haldi, engagement or Pujas. A little Ganesha, small geometric shapes or paisleys are some ideas that are vastly used as Rangoli designs. You can also play with the petal colours like monochromatic, dual or multicoloured designs. 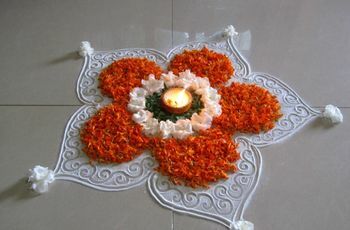 Where: Small Rangoli designs can be made inside the home temple, near the Tulsi or at the wall corners. Accessorise it: Add tiny Diyas, glitters, candles in between to accentuate the overall look. Certain moments call for some grand attention and care. 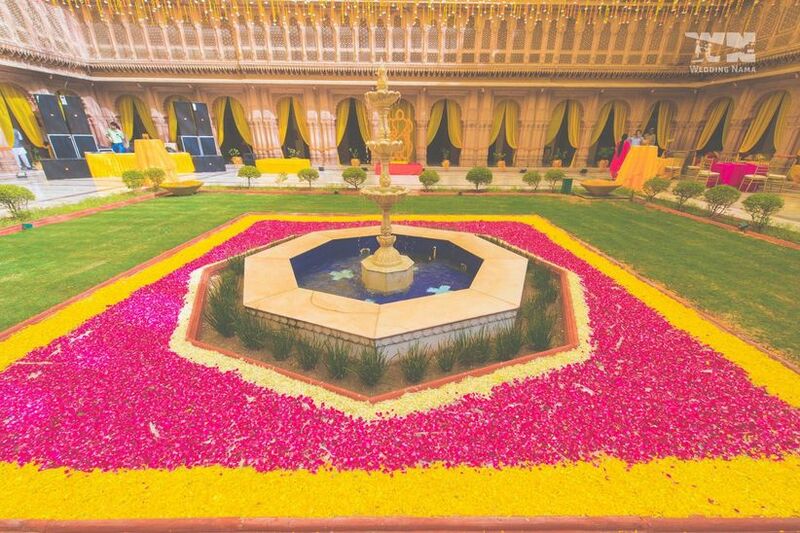 Like when the bride or the Baarat comes, or the newly married couple enters the reception venue for the first time - these are the times when you want to go for bigger floral rangoli designs. Use interesting colour combinations of petals, or floral garlands looking like an outline, whatever you make, make it large! 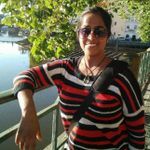 Where: Entrance of the wedding venue, Mandap, sides of a church aisle (in case of a Christian wedding), courtyard for outdoor functions. Accessorise it: Mangaldeep or large lamp stands, candles, make icons like that of a bride or groom or animal motifs using leaves and petals. 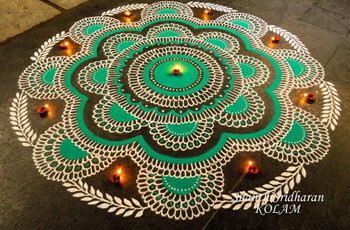 Floating Rangolis are quite a trend simply because they are easy and look stunning. 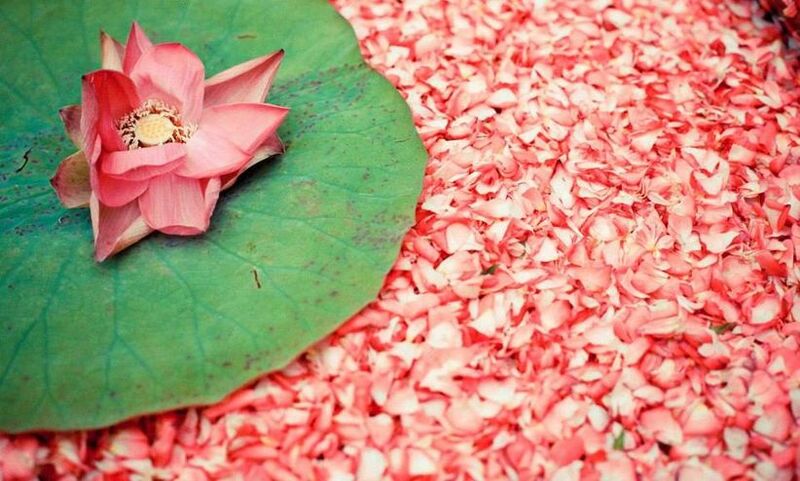 All you need is a large open vessel filled with water and flower petals. 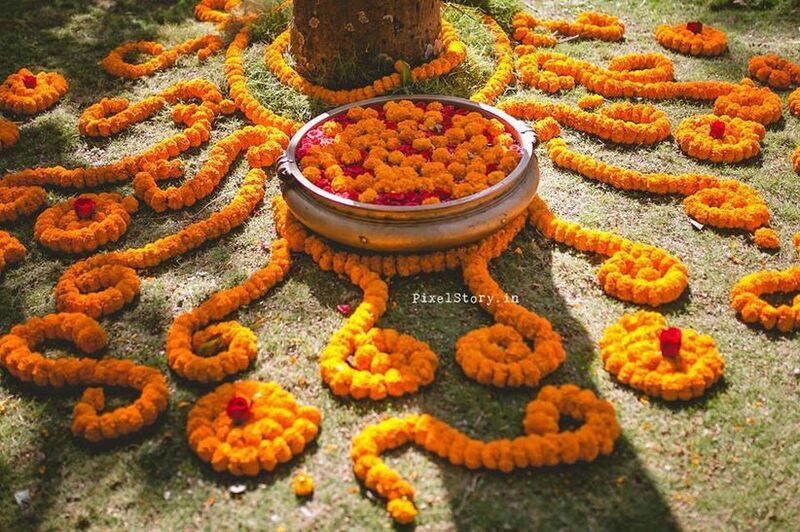 You can even try making a floating floral rangoli yourself in one of the wedding events. Place a central rose or any other flower and carefully arrange colour coordinated petals around it. Where: Reception stage, centrepieces at a banquet, courtyard or poolside. Accessorise it: Floating candles, tiny floating dolls and figurines, floating balls. Think geometric shapes, asymmetrical patterns and unconventional designs for floral Rangoli. Or maybe use fusion by blending religious idols with contemporary shapes. Use unique flower and leaf combinations to get interesting colours. You can even refer to some Mehndi designs to get ideas for your rangoli if you’re planning for a DIY decor. That could get some interesting results! 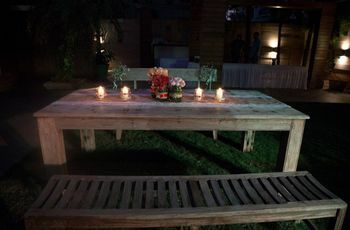 Where: Destination wedding location, corners, open areas like a poolside or bridal entry platform or Jaimala platform. Accessorise it: You can use multicoloured candles or hand-painted earthen lamps, or coloured dust as outlines to go with the Rangoli. The most popular and possibly the most adored flower for weddings and festivals is the marigold. 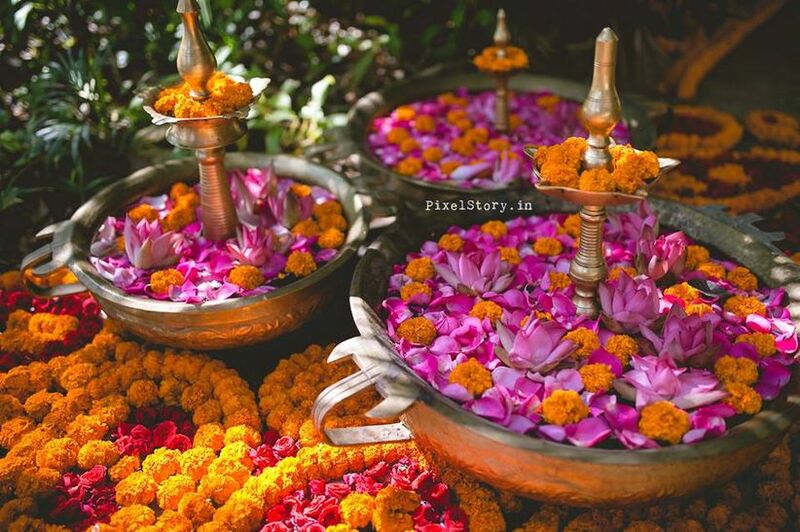 There can hardly be any festive occasion without marigold garlands or petals or floral Rangoli exclusively made with marigolds. Use the three different shades of marigold (Yellow, orange and brick) to bring out variations in your designs. 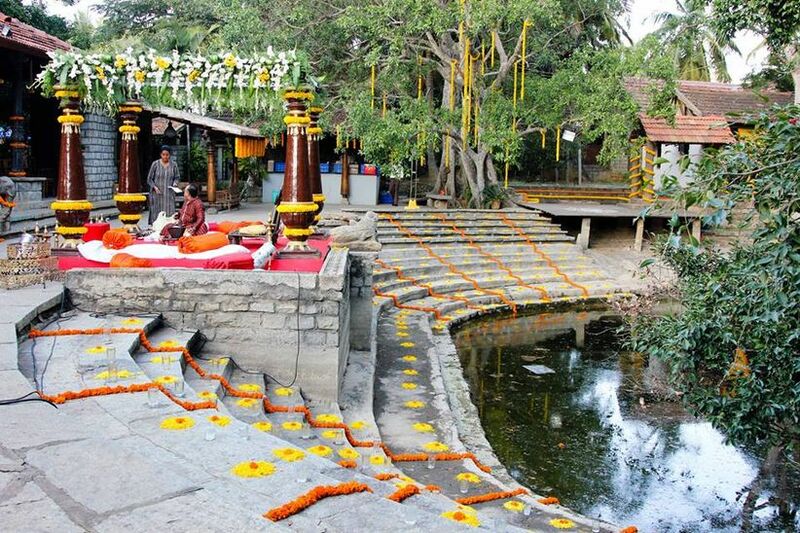 Where: Puja space, Mandap, near the Tulsi, entrance, Haldi location. 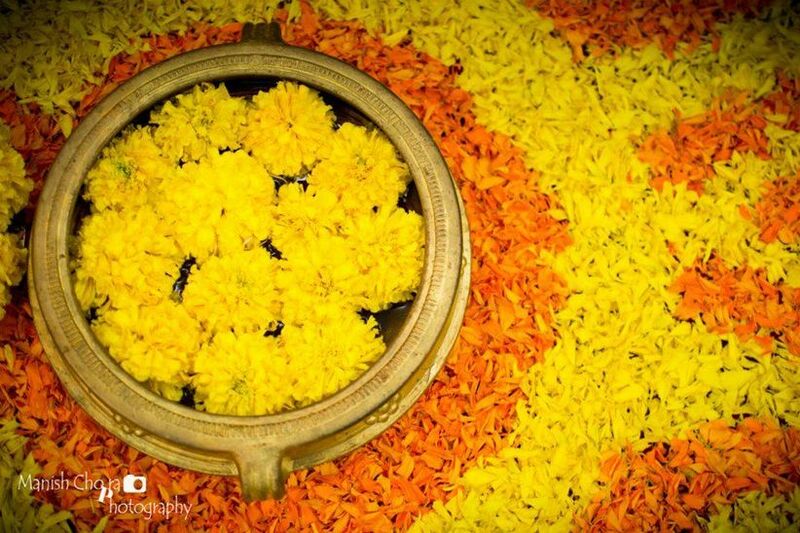 Accessorise it: Use yellow based Rangoli powder to use as fillers, glitters or marigold shaded shiny paper flakes. Red and white is always an elegant choice of colour combination. Choose red roses and white daisies to add a dash of elegance to your floral Rangoli designs. Make elongated vines or minimalistic patterns or a carpet; the sharp contrast of the flowers itself works wonders as a theme. 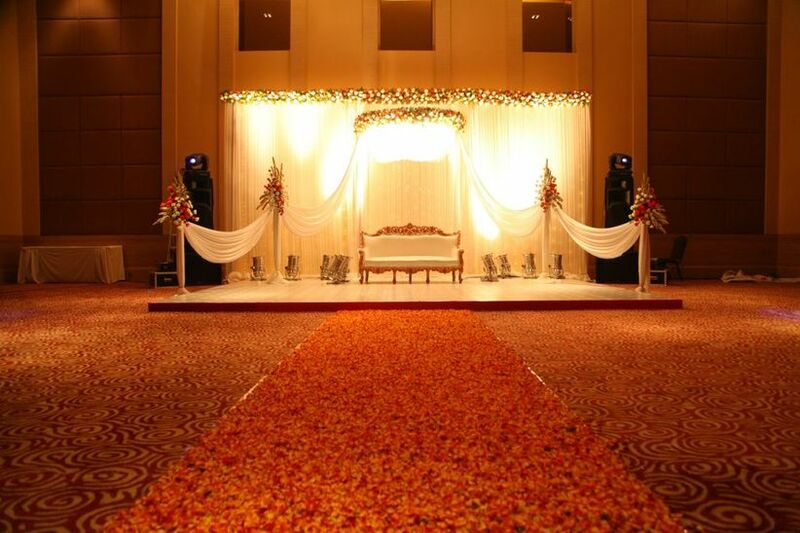 Where: Bridal entry platform, aisle, main entrance, lawn in case of open-air events. Accessorise it: Use silver glitters or white candles, open vessels with floating candles. Talk to your local florist and ensure the availability of the seasonal flowers before going for any floral Rangoli. Marigold, rose, daisy and lotus are the most commonly used flowers. 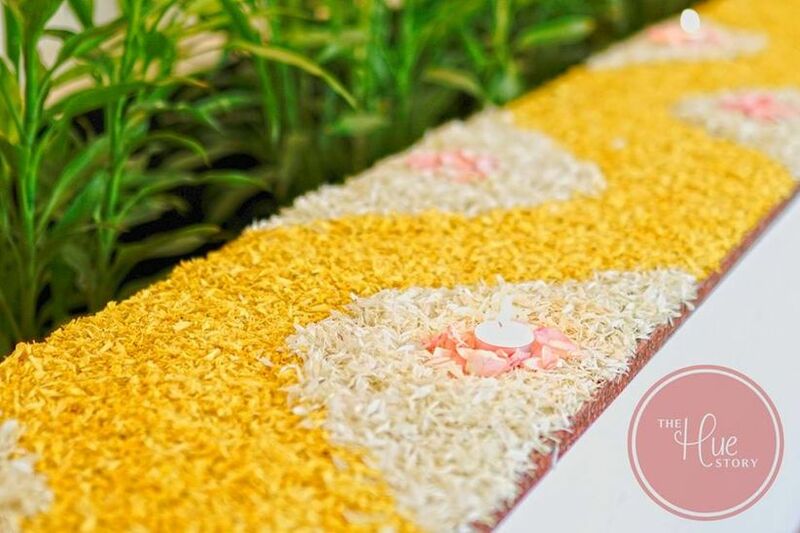 Sunflower petals, tube-rose strings, jasmine and carnations are also quite popularly used for wedding Rangoli designs. Throw in some ferns, dried branches and leaves in between for rustic variations. Refer to some Mehndi books for design and pattern ideas and try them on your Rangoli! Let your wedding decoration stand out and give the future couples some serious decor goals! Talk to your wedding planner for some more innovative ideas on decorations.